Are you looking for potential aspirants with varied IT skills? If yes, then xCess Manpower should be your first destination. 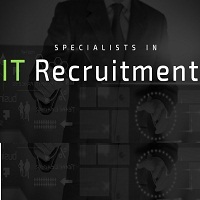 We recruit skilled candidates for software as well as web companies. Before selecting the candidate for the job, we ensure that he/she different IT skills and is acquainted with various technologies that include Magento, Wordpress, Android, and many more. With our extensive exposure in the IT industry, we can help the aspirants in getting jobs in the best IT companies. You can call us or reach our office located in Ahmadabad (Gujarat, India).